When I survey my closet, I notice it’s mostly full of classic pieces. 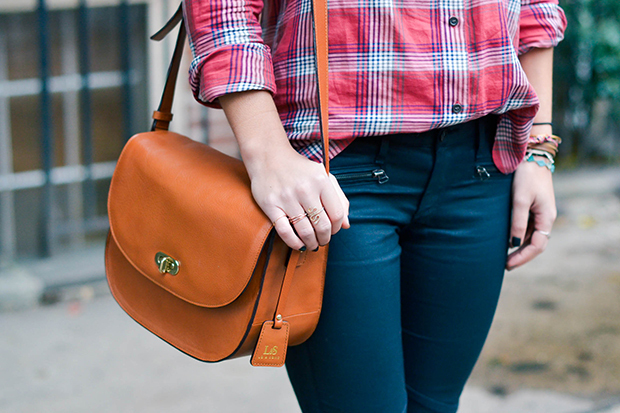 Skinny jeans, button downs, sweaters – the usual. While many of us are stocked up on basics, the trick is putting them together without looking boring. The way I counter that problem? Try choosing classics with a twist. 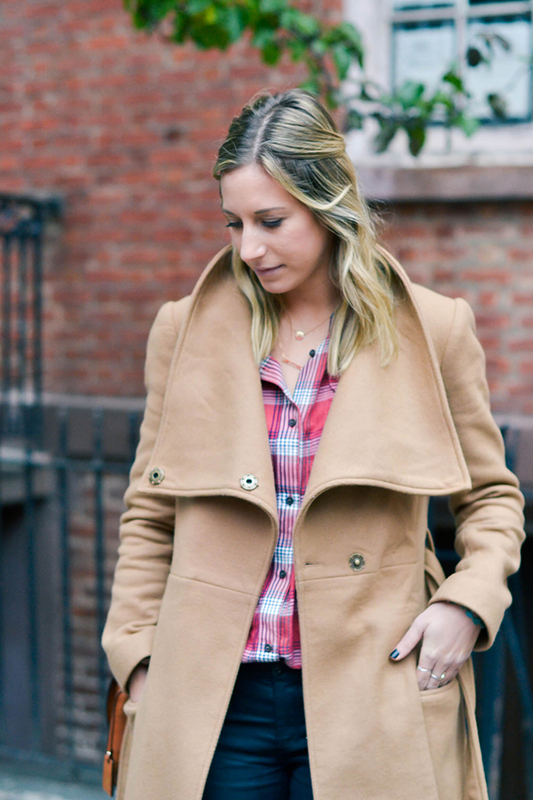 For instance, this camel coat (similar here) is a major fall classic, but the oversized collar gives it that extra edge without going too trendy. Black flats are another basic we all have, but why not spice yours up with some texture and an updated silhouette? 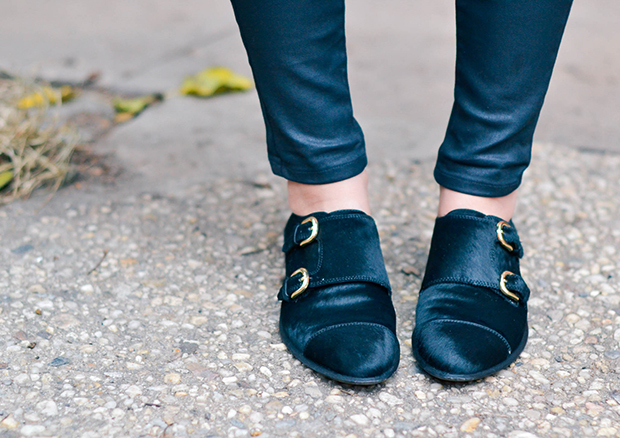 I love the menswear vibe of these Sam Edelman flats. 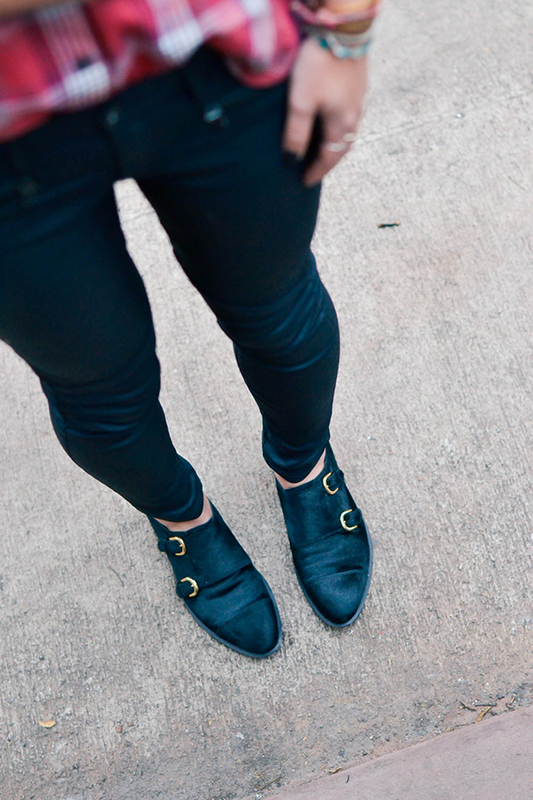 While black skinny jeans are a must-have, try a coated pair or ones with moto details. These subtle touches maintain the versatility of the clothes, but give them that added interest to keep them from looking boring. 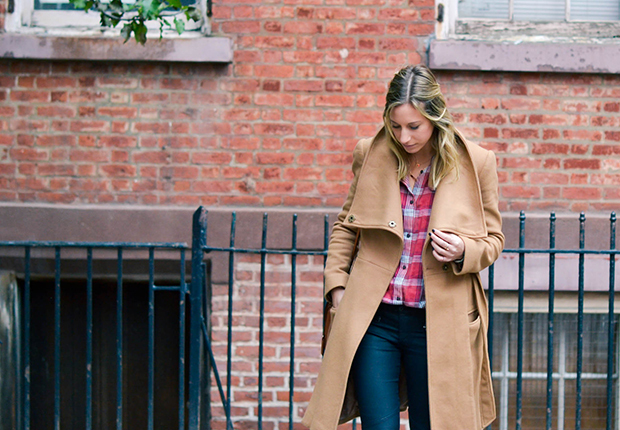 with new looks posted every day this month on AOL Stylelist! // Compensation for this post was provided by THE NEW 2015 DODGE CHARGER via AOL Media. the opinions or positions of THE NEW 2015 DODGE CHARGER or AOL. I like this advice. I tend to lean more towards classics, but I want to start stepping out more. I think classics with a twist would be a good transition. Absolutely love this coat!! Miss you!